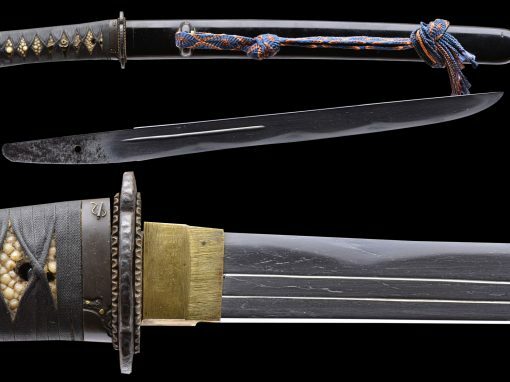 Enomoto Sadahito is the son of Enomoto Sadayoshi. 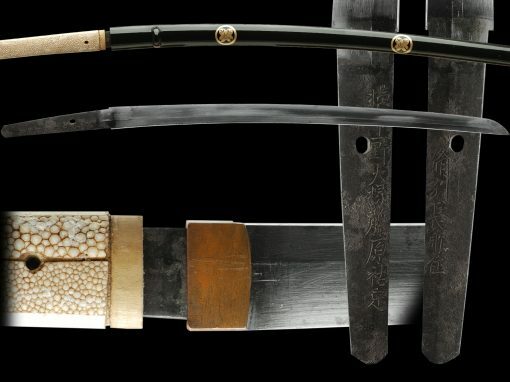 He began training under his father while an elementary student, and became a licensed smith in 1977. 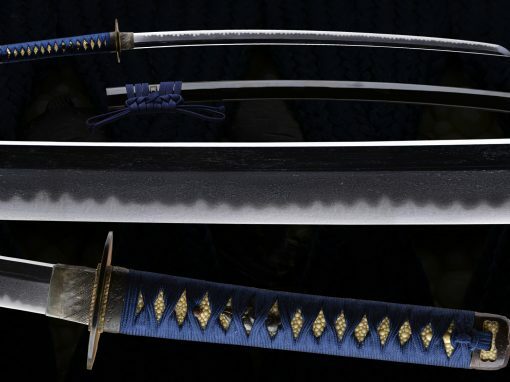 He specializes in the Soshu Den, making swords in the tradition of Masamune and Sadamune. 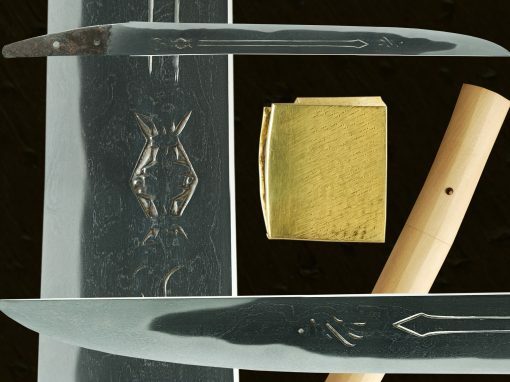 He also works in the Gassan tradition, making the trademark ayasugi hada. 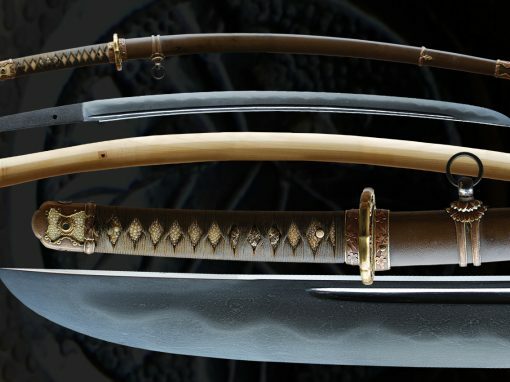 He uses tamahagane as well as old steel and oroshigane. 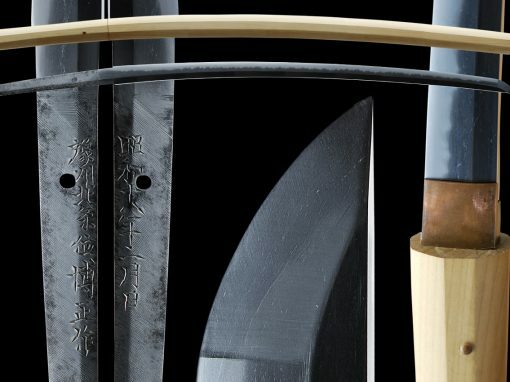 He makes swords using the kobuse or makuri construction. 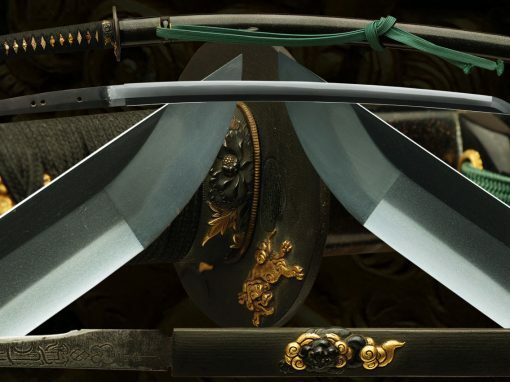 True to the Soshu Den, his hamon is a midare with profuse nie, sunagashi, kinsuji, and other hataraki. 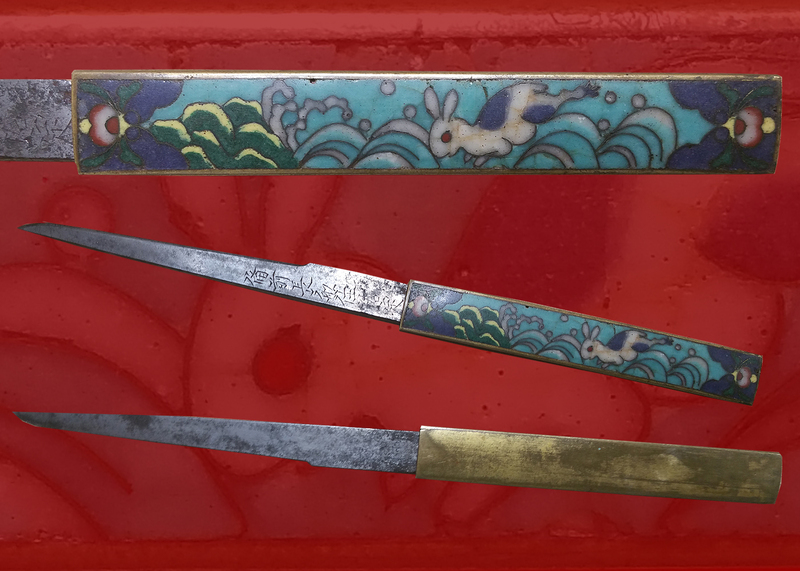 Sadahito was invited to demonstrate his craft in 1998 at the University of Wisconsin Art Facultyˆ‚s Traditional Japanese Metalwork Seminar. 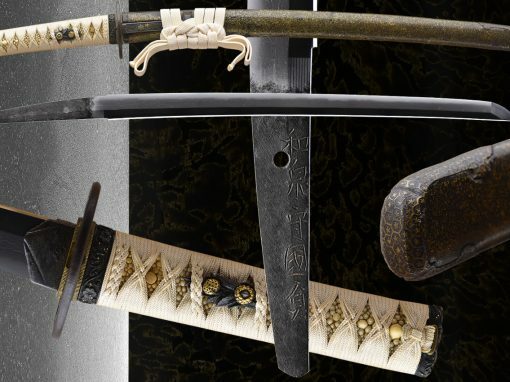 He is currently the President of the Tokai Branch of the National Association of Swordmakers. 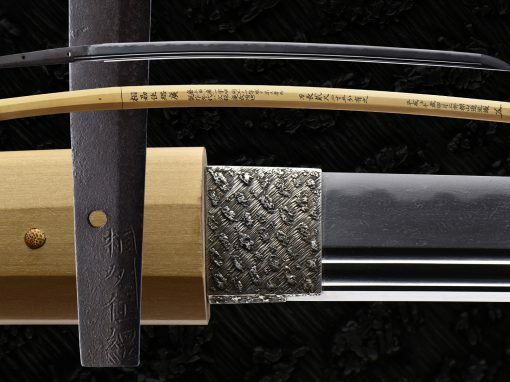 Sadahito is a regular entrant in the yearly sword making contests; he has taken the Doryoku Sho, or Effort Award, three times. 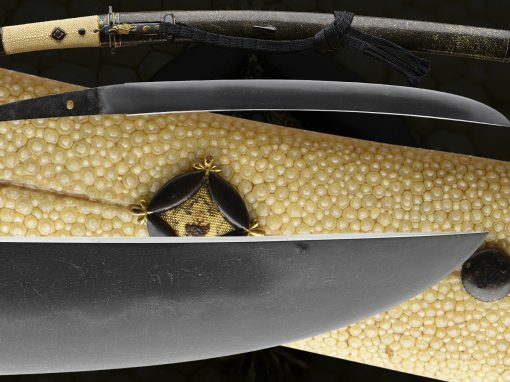 He is an up and coming smith with great potential; surely his future is a bright one. 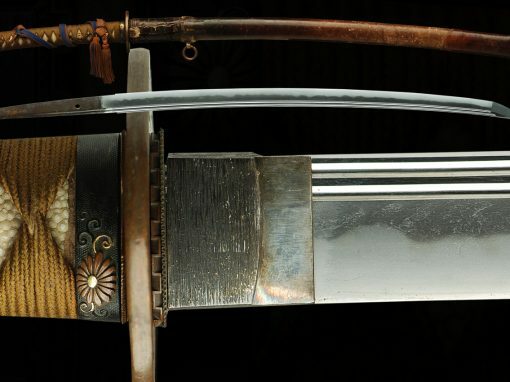 This Shinsakuto is a beautiful traditionally made sword. 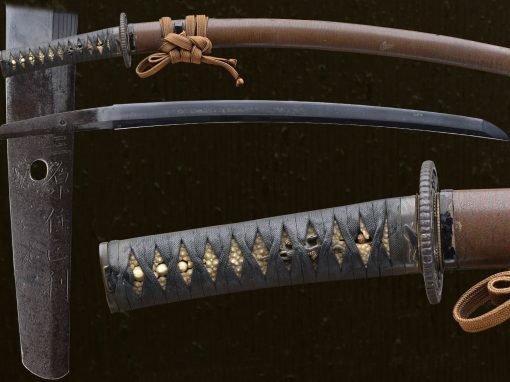 With almost a 29″ Nagasa and custom mountings this is a sword to admire. 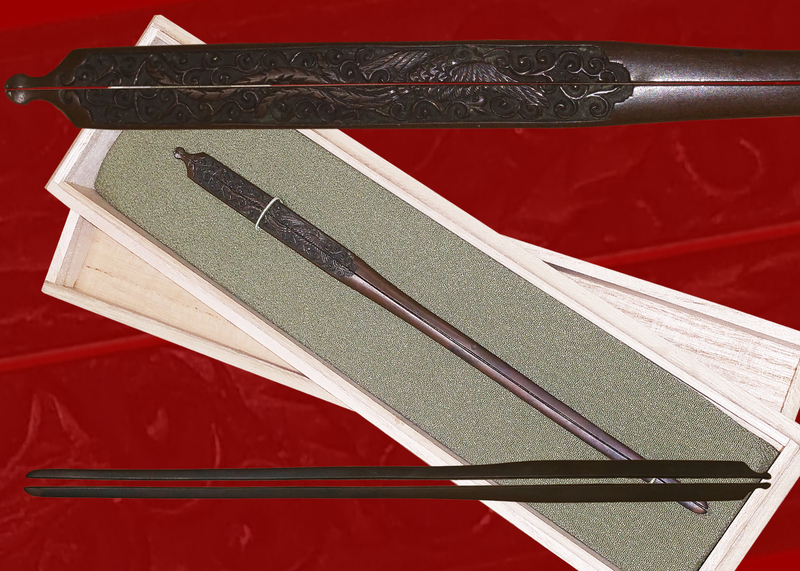 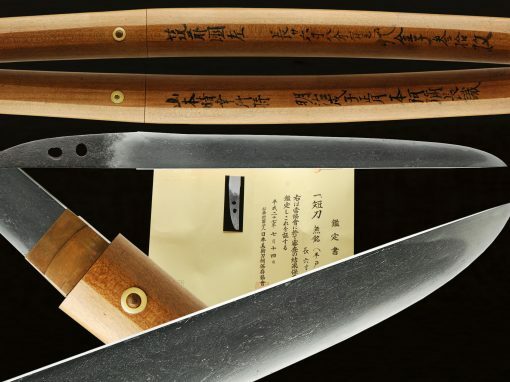 This blade was created to use for training and also for cutting in the traditional Martial Arts as well as for a collector of Shinsakuto blades. 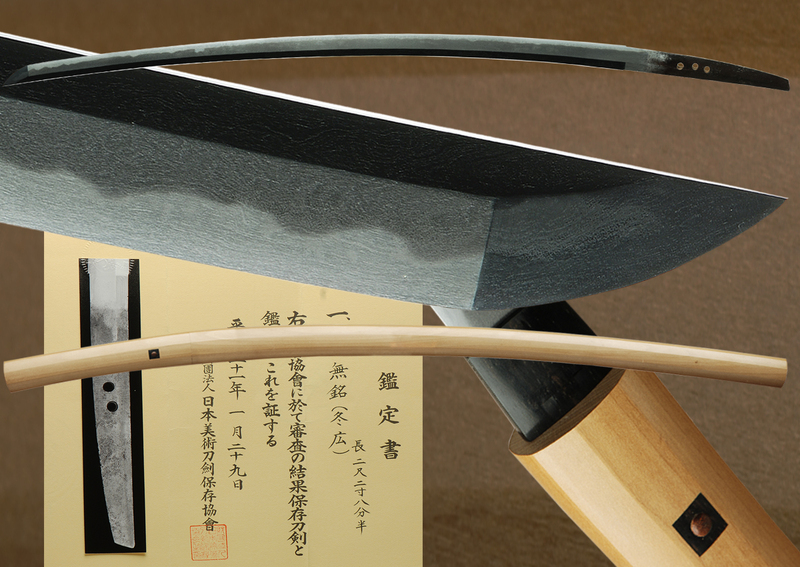 A gunome midare hamon with loaded with nie , sunagashi, kinsuji and much more adds to the aesthetic quality of the blade. 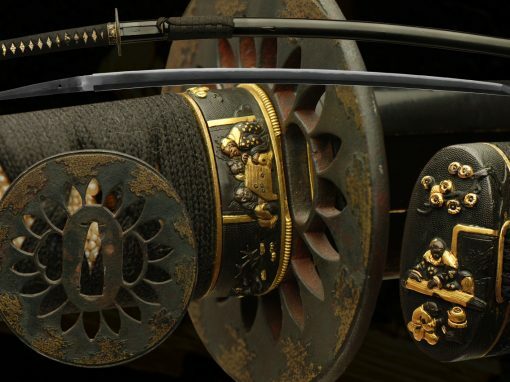 There is boho which also adds to the balance this sword. 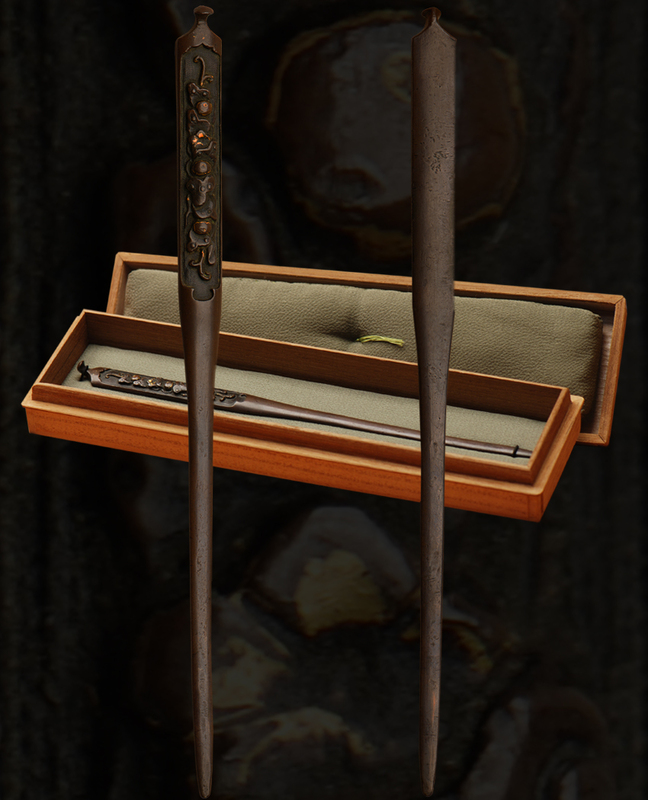 The Koshirae is very appealing and not meant to be flashy. 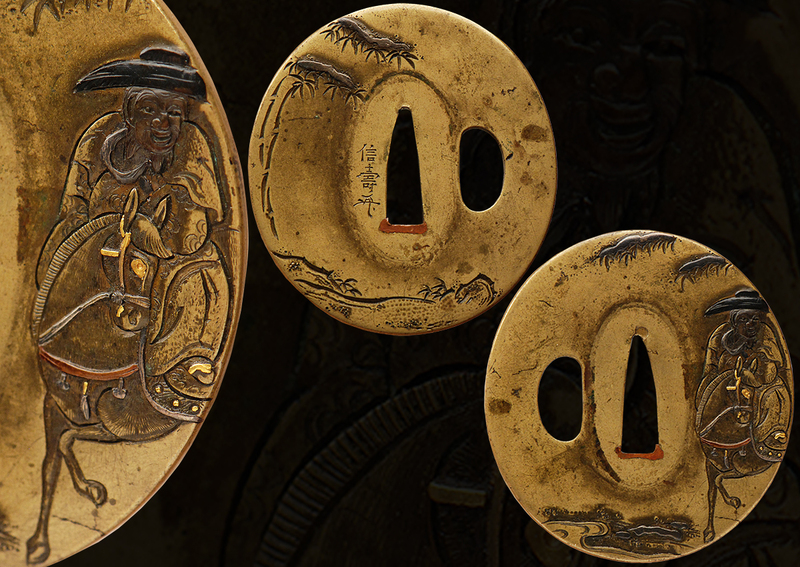 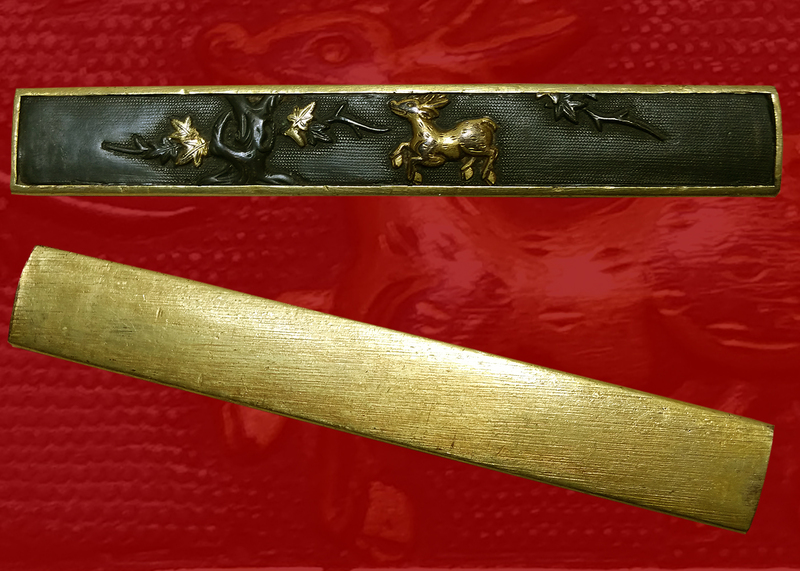 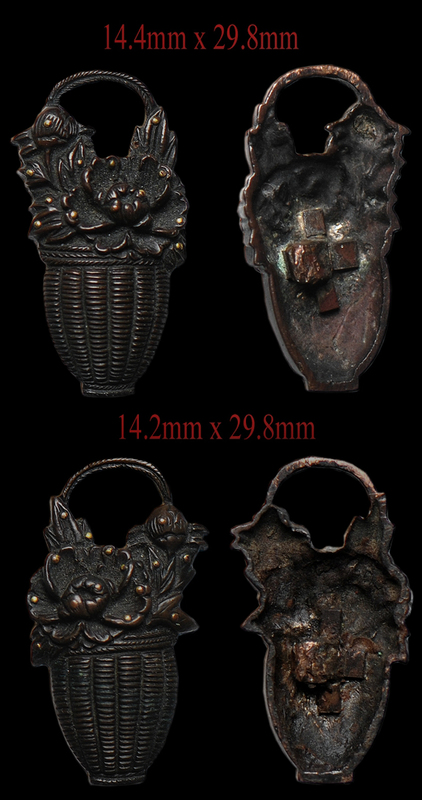 Adorned with a uniquely designed Fuchi / Kashira and menuki of shishi motif.. 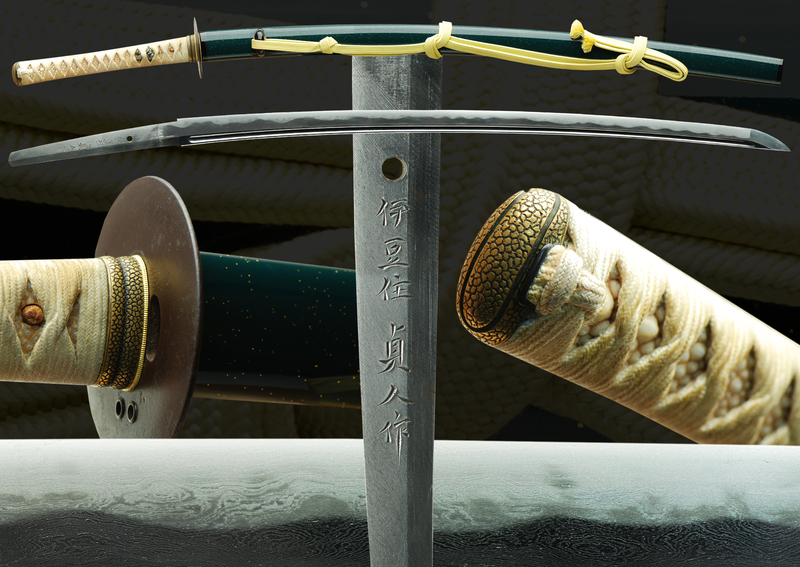 The handle wrap is finished in white silk Ito and matching sageo. 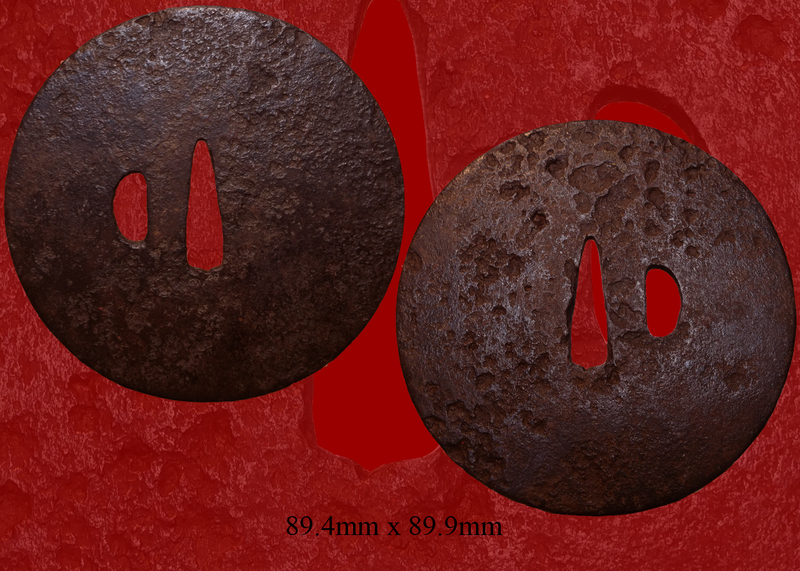 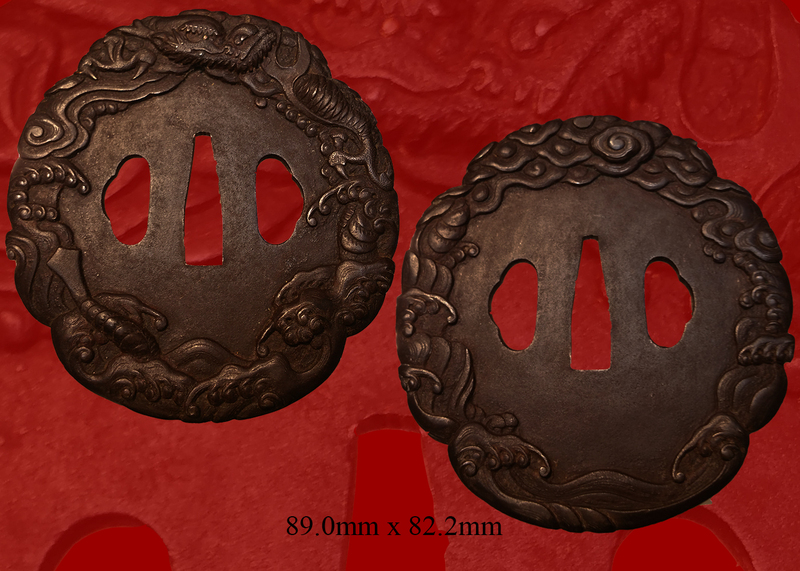 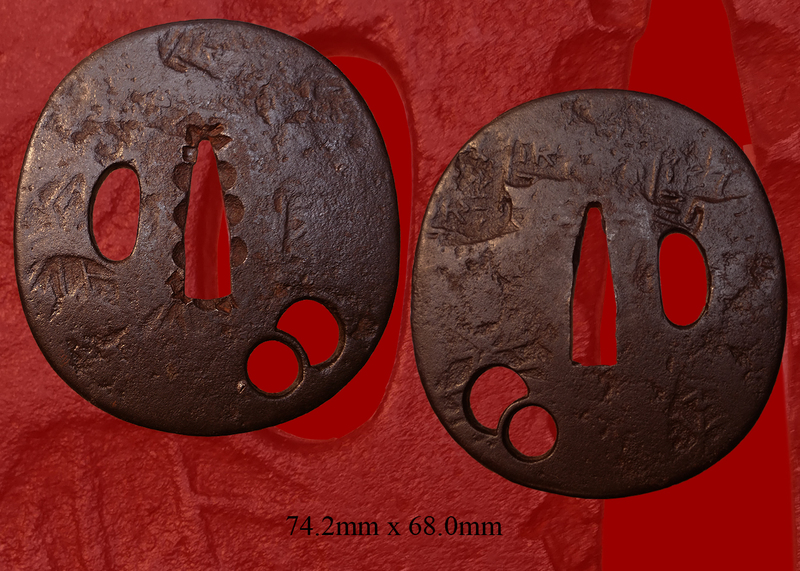 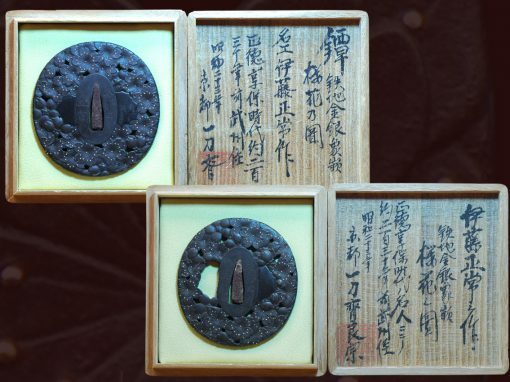 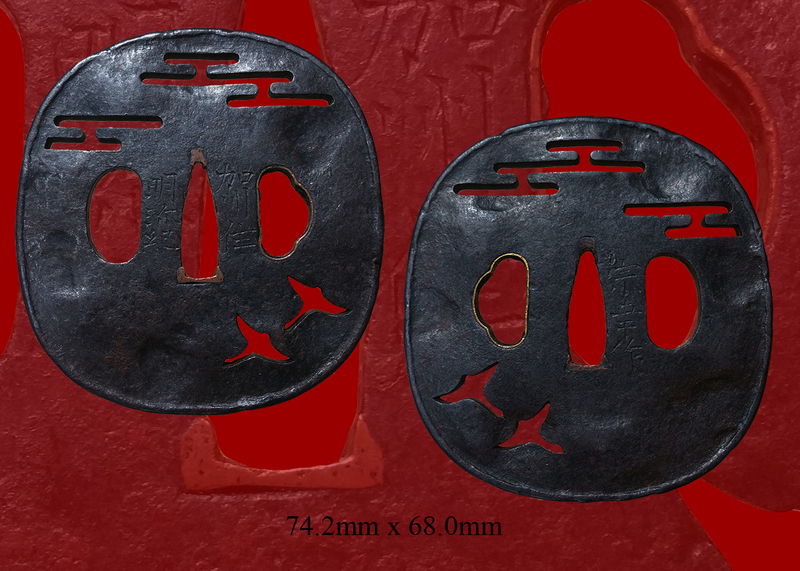 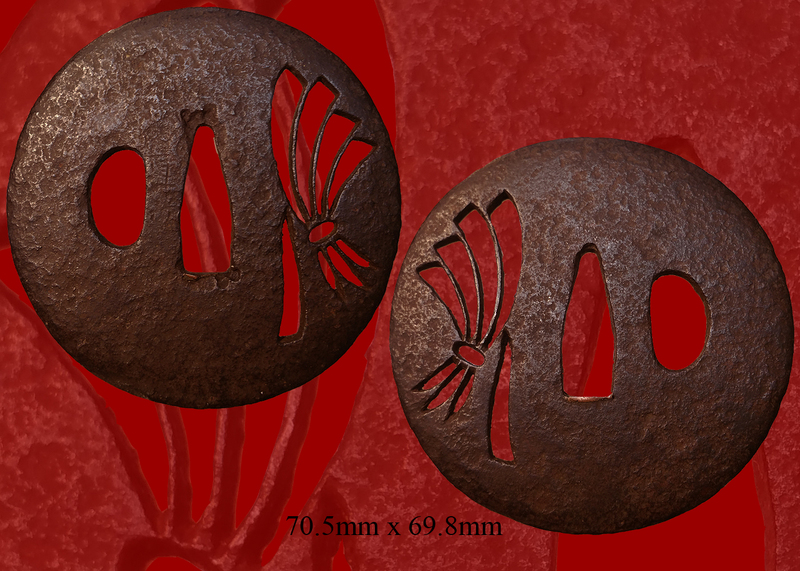 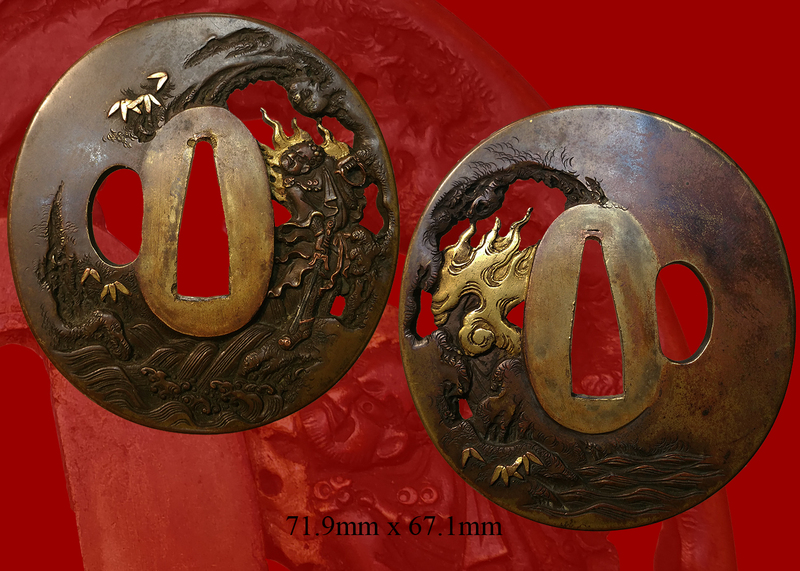 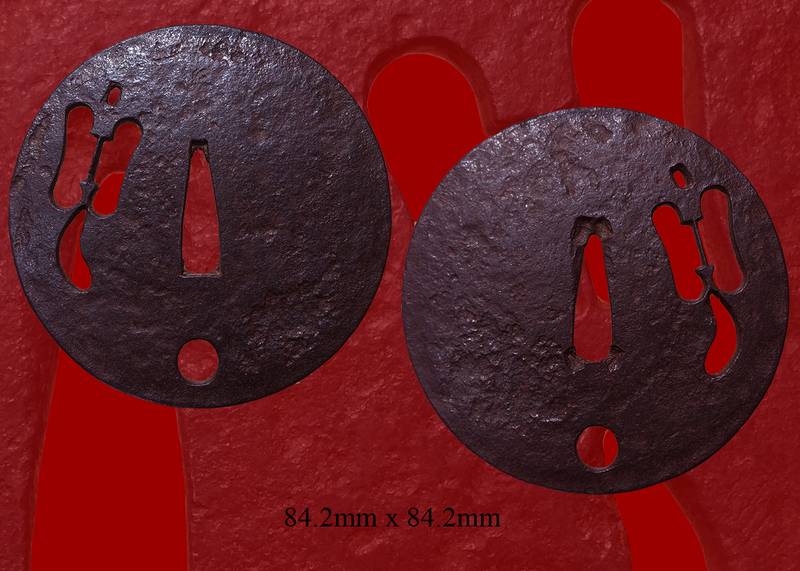 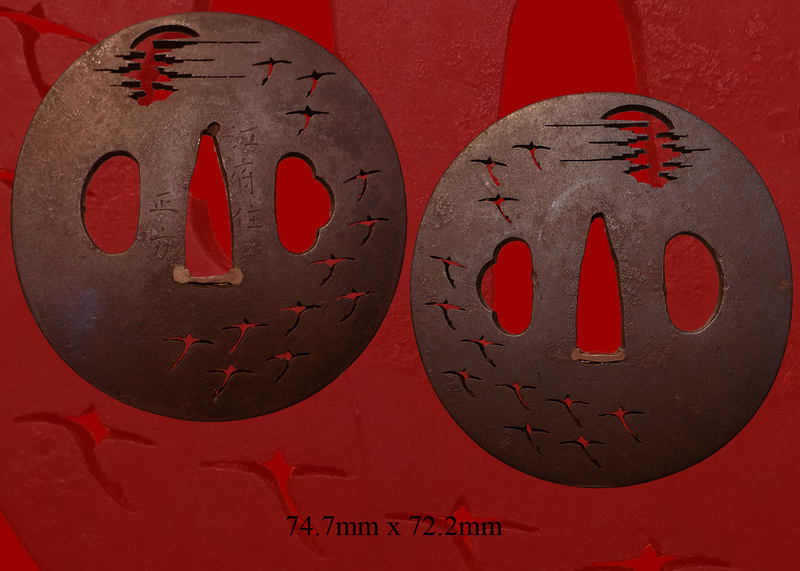 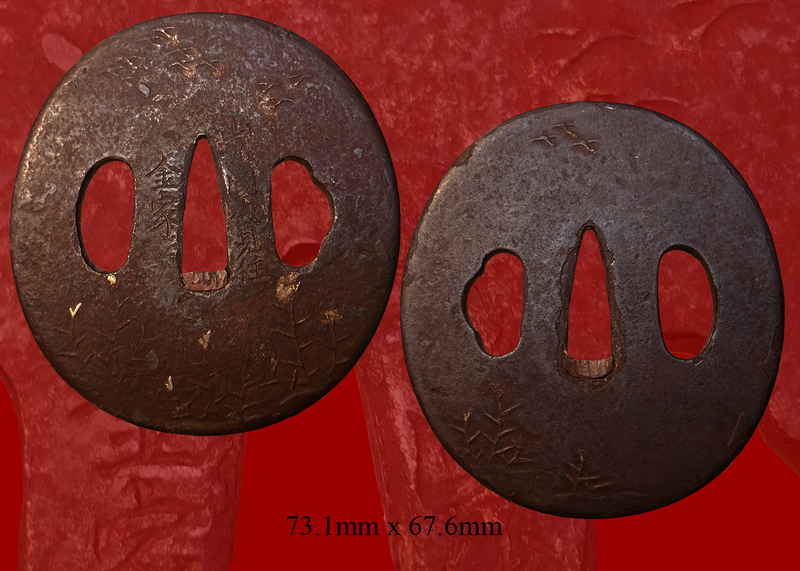 There is a pierced iron tsuba that also accentuates the mountings. 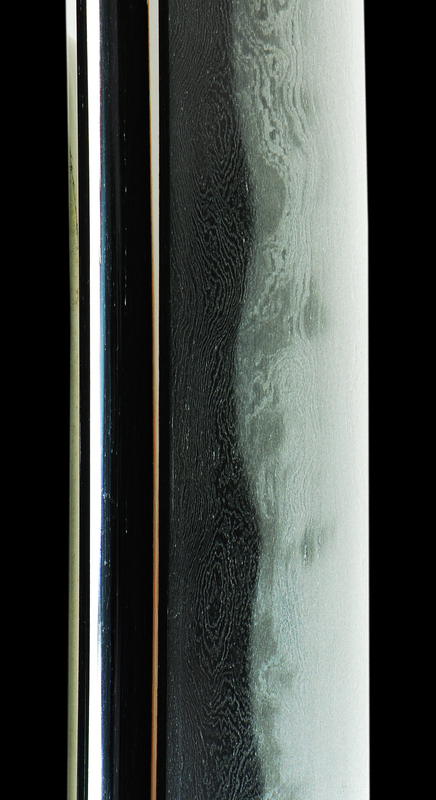 The Saya is in a green lacquered finish bespectacled with white dots. 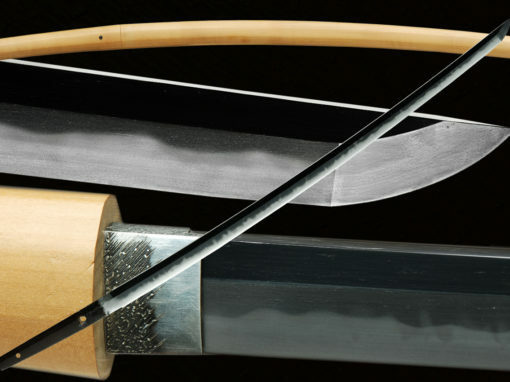 This sword is perfect for training in Iaido and other martial arts. 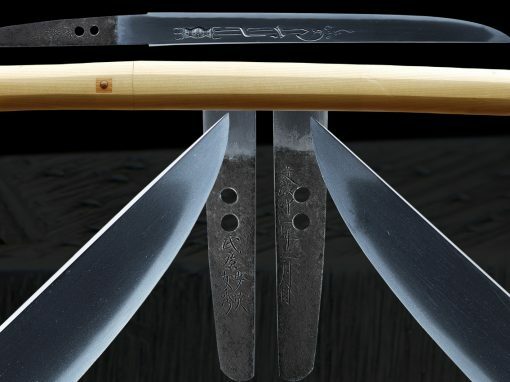 This blade was made of Tamahagane and using the traditional methods, folded and clay tempered, water quenched. 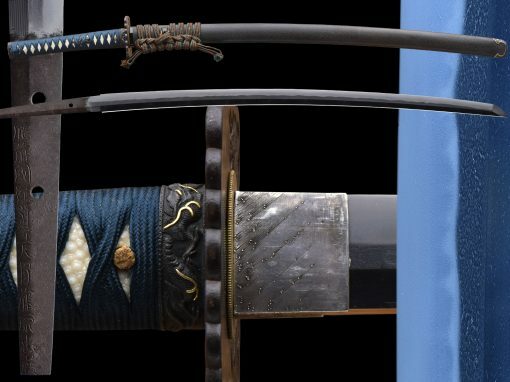 And is a true Japanese sword. 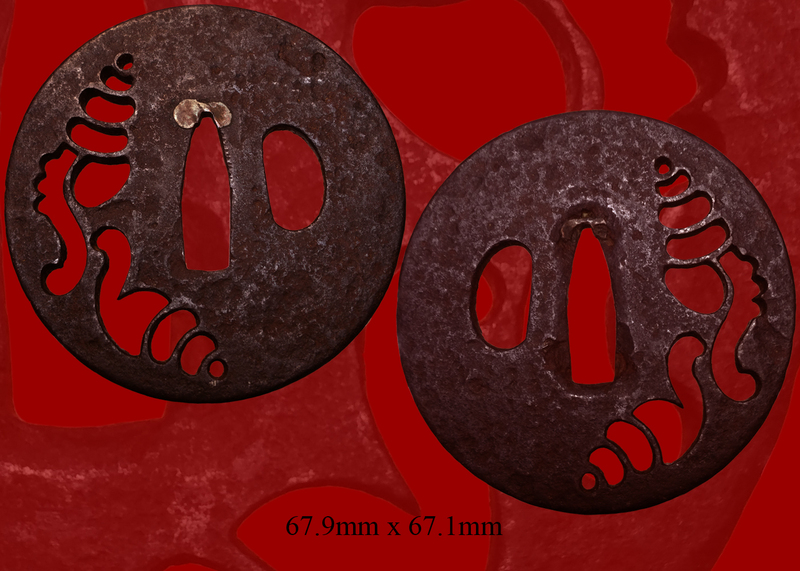 Email us if your interested in this item and remember to include the order number for this item: fss-756.